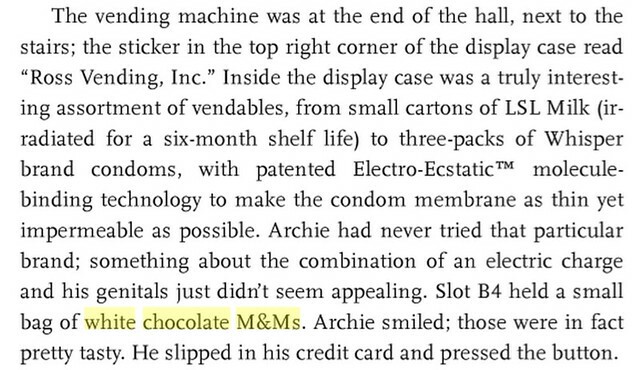 In The Android’s Dream, which I wrote over a decade ago now, I reached into the thinky crevasses of my brain to conceive of a thing that no human had dared to dream of: white chocolate M&M’s. Yes! I was the first! They came from my very thinkmeat! And people said to me then, well, hold up there, Scalzi. Spaceships and aliens are all very well, but white chocolate M&M’s? That’s too radical an idea! And then they laughed, nervously. Yes. 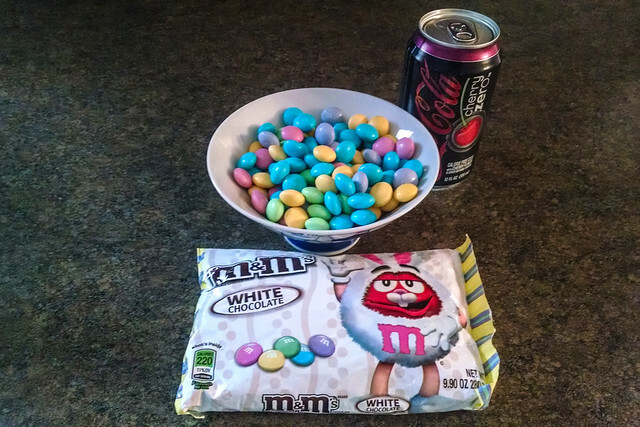 Arthur C. Clarke had communication satellites, Robert Heinlein had waterbeds, and now I have white chocolate M&M’s. I predicted this magnificent confection of the future! I did! Me! Alone! YOUR WORLD IS WHAT I HAVE MADE IT, PUNY HUMANS. PARTAKE OF THE PEARLESCENT PRODUCT OF MY PRODIGIOUSLY UNPARALLELED PROGNOSTICATION. I’ll take my Grand Master award now, if you please. Today’s question: Do you feel lucky? My answer: I do, but I also believe strongly that with luck it isn’t the “lucky” thing that happens to you, but what you do in the aftermath of that event that matters.